At 34, McKinley won a seat in Congress. He spent 14 years in the House and in 1891 was elected Governor of Ohio, serving two terms. McKinley became US President in 1897. (White House) Following his assassination, “Steps were at once taken toward raising funds for the erection of a suitable memorial”. In Ohio, “within a month from the date of its creation the committee was incorporated at Canton under the name The McKinley National Memorial Association.” Auxiliary associations were formed in nearly every State for the purpose of aiding the National body. In September 1907, the McKinley Memorial in Canton, Ohio was finished; 9-states had contributed material for the memorial, a 50-foot wide, 77-foot tall domed structure. At the top of the dome is a red, white and blue skylight. The skylight has 45-stars in its design representing the 45-states in the Union at the time of his death. But, wait – that is getting ahead of the story. Let’s look back; in doing so, we’ll see some history related to some familiar Honolulu institutions. As the population of the town continued to grow, it became evident there was a need to form a separate and self-supporting church; so, in 1852, the Second Foreign Church in Honolulu came into existence. In 1856, they built a permanent house of worship at the corner of Fort and Beretania streets and the name of the organization was changed to the Fort Street Church of Honolulu. In April 1887, Fort Street Church prepared a proposal to reunite the Bethel and itself into a new organization, and from that time until the formal union, the two churches worshipped together. Selection of the new church’s name was settled by vote; the final result was Central Union 28, Church of the Redeemer 18, and Bethel Union 1. Thus, Central Union Church began its existence. The original congregation numbered 337 members – 250 from the Fort Street Church, 72 from Bethel Union, 13 from other churches and 2 on confession of faith at the first service. By 1888, increased church membership made it apparent that the Central Union congregation was outgrowing the Fort Street building. All of these activities (with the Church and School using, then leaving the property) eventually freed up the site at the corner of Fort and Beretania Street (the former home of what are now Central Union Church and McKinley High School.) This is across the Fort Street Mall from the Cathedral of Our Lady of Peace. It is still here; however, what we see today is not a single building. “The makai wall of the present Progress Block will serve as the mauka wall of the new building. Arches will be made in this point wall and for the upper floors of the two blocks there will be used the same electric elevator.” (Hawaiian Gazette, May 6, 1898) Construction of Cartwright’s building started on May 4, 1898. Some of the former users of the property returned; there are several references to Honolulu High School holding commencement exercises in Progress Hall. 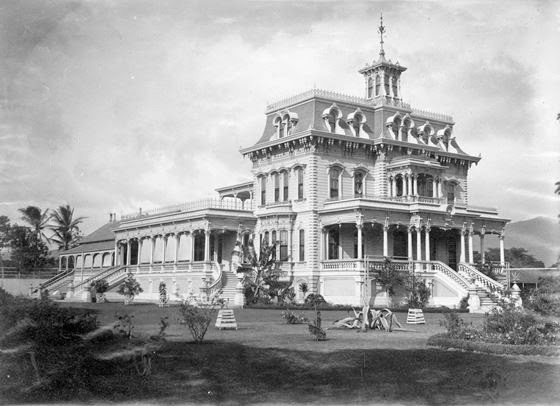 Others used the facilities, as well – including some ‘firsts’ in Hawaiʻi. Progress Hall (“about the only available place at that time where meetings could be held”) ushered in the Elks (with 90 charter members, first initiation and installation took place April 15, 1901.) 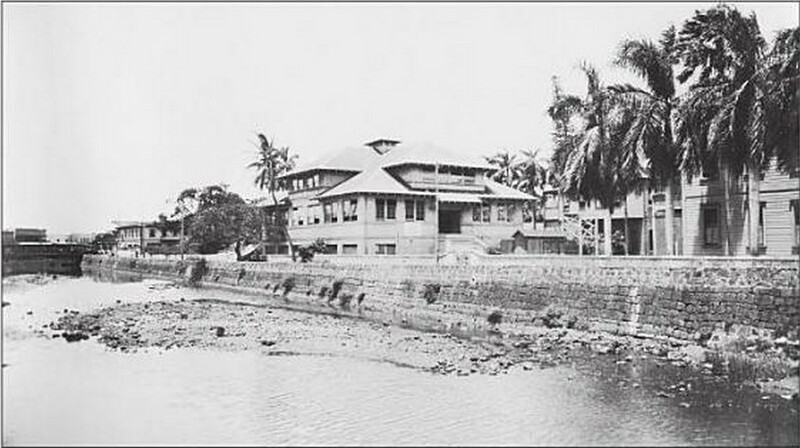 Likewise, the First Hebrew Congregation of Honolulu was formally organized at a meeting of some thirty of the Jewish residents of the city in Progress Hall Sunday afternoon, October 27, 1901. Today, Hawaiʻi Pacific University occupies the Model Progress Building (it is not clear when the “Model” moniker was added to the building name;) uses include, Center for Student Life and First-Year Programs, Commuter Services, Dean of Students Office, ELS Language Center, faculty offices and spaces/uses for various departments and programs. 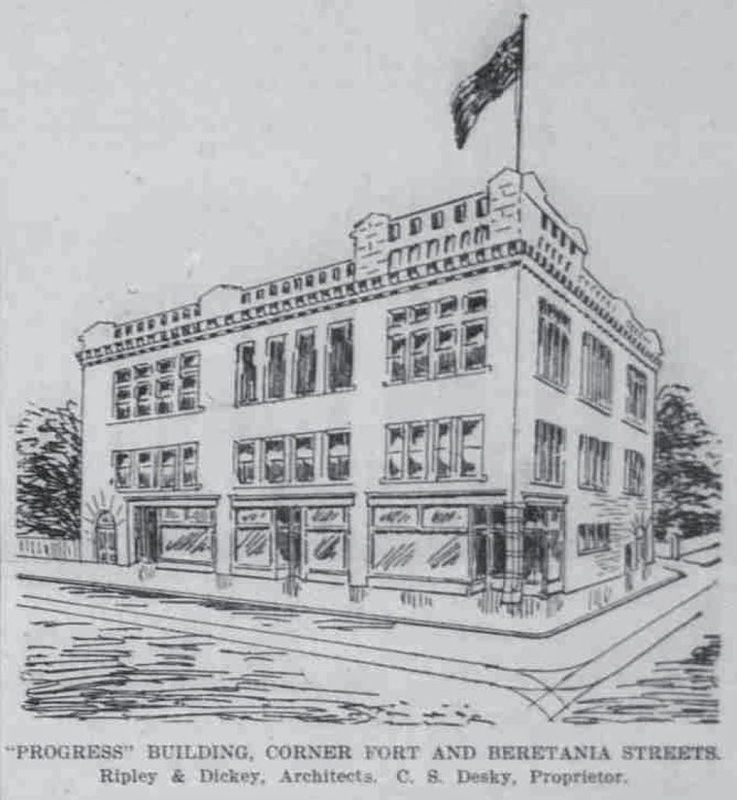 The image shows a drawing from the initial newspaper announcement of the Progress Block (Hawaiian Gazette, July 27, 1897.) In addition, I have included other images in a folder of like name in the Photos section on my Facebook and Google+ pages.